Way to go lah, you guys! Who says Malaysians can't write? 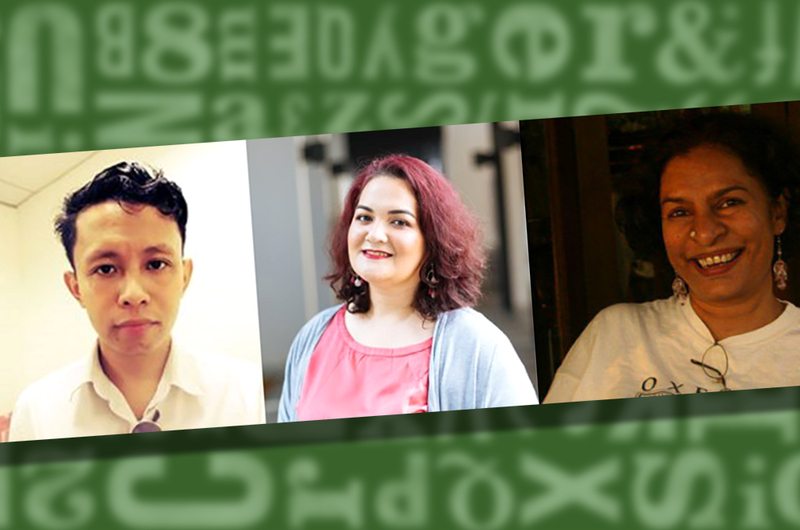 Three of Malaysia's brightest writers have been selected as the finalists for the prestigious Commonwealth Short Story Prize, one of the world's biggest short story competitions. Lokman Hakim's work, 'Pengap', which was also translated to English by Adriana Nordin Manan, and Saras Manickam's 'My Mother Pattu' were among the 21 stories chosen for the annual prize. This year, the panel of judges went through a total of 5,081 stories submitted by authors from 50 Commonwealth countries. So, being one of the 21 chosen ones is a pertty big deal. 35-year-old engineer Lokman told Star2 that his Malay story 'Pengap', which translates to 'Stuffy' in English, is about a character who refuses to migrate to a stuffy city. Saras' story 'My Mother Pattu', meanwhile, tells the story of a mother’s violent jealousy and envy towards her daughter, who finds out the hard way that only she could protect herself from the abuse. Lokman, Saras and Adriana are nominated under the Asian region category of the competition. In May, a panel of five judges (each from one of the Commonwealth regions) will select one winning entry from each region. Then, from the five selected stories, one winner will be selected and announced in a ceremony in Quebec, Canada on 9 July. The winner will walk away with a £5,000 (RM26,770) cash prize, while the regional winners will take home £2,500 (RM13,385) each. Best of luck, you three! The whole of Malaysia will be cheering you on! [QUIZ] How Annoying Of A Malaysian Are You Really?